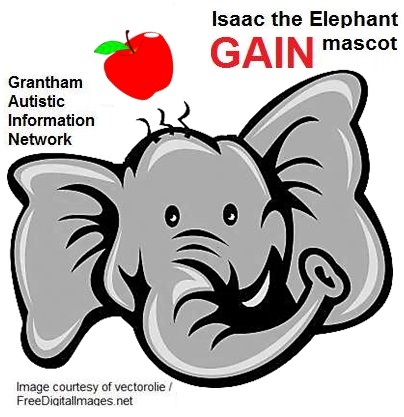 This is Isaac the Elephant and he is our mascot. Isaac Newton studied at Kings’ School in Grantham, many years ago. At Cambridge university he came up with three ideas about how things move and worked out how to do useful sums with them. Scientists still use them today, but don’t worry if that sort of thing is too hard to understand, after all no one likes a clever clogs. Some say that Isaac Newton, the scientist and mathematician had Asperger’s Syndrome. He was definitely not very sociable. It is said that he was sitting under a tree when an apple fell on his head, which got him thinking about the nature of gravity. Elephants are well known for their good memories, a bit like people on the autistic spectrum. They say that elephants are particularly intelligent too, you might say a bit like Isaac Newton. For more on Isaac Newton, see Famous people.